"Dr. Clarke is having apoplexy right now regarding that comp,tee piece of garbage published by a magazine that bears his name and ostensibly bears his legacy. " 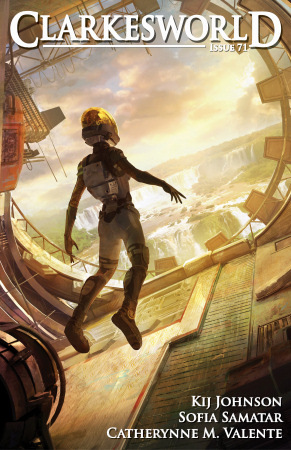 —Absolute Write forums (8/13/2010) on "Spar" by Kij Johnson from the October 2009 issue of Clarkesworld Magazine. Anyhow, "Spar" is a story we’re quite proud to have published. When we received this story from Kij, we knew it would trigger some passionate responses. The folks at Absolute Write haven’t said anything we haven’t before. In fact, it’s pretty tame. 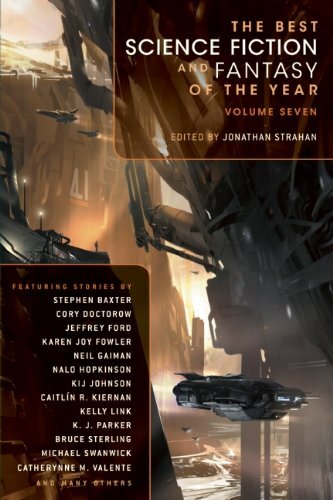 When "Spar" won the Nebula, one author said that Clarkesworld was killing the genre by publishing crap like this (despite that, he still submits stories to us) and a couple of people decided to make personal attacks (deleted, as per our policy) on Kij in the comments area for that story. Poke around the internet and you’ll find some very hateful comments about "Spar" that will cause these to pale in comparison. If you want to kill the genre, you don’t do it by publishing controversial stories. In fact, you’ll know we’re all in trouble when no one is publishing them. Love or hate them, we need to celebrate these stories. So, what are some of your favorite controversial stories? The 2010 Locus Award finalists have been announced and (much to my surprise) Clarkesworld is a finalist in the magazine category! "Spar" by Kij Johnson also made the list in the short story category. Thanks to everyone that voted for us. It means a lot to me.